I have been very fortunate to be included in the ‘four books and growing’ anthology series from MX Books (I’m in Volumes III and IV). Volume IV was just released in hardback, paperback and ebook formats a few weeks ago and the first three volumes came out as a trilogy in 2015. The deadline for Volume V, which will be all Christmas tales, is rapidly approaching and I expect that book to be out by the end of the year. And Volume VI is already being put together! 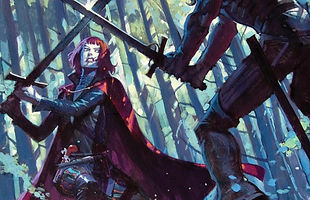 Today over at BlackGate.com, I talk about this very cool series, which has already exceeded eighty stories. That’s a LOT of Holmes reading for you. Head on over and learn about the MX Anthologies. And please feel free to leave a comment. You probably already know, but I write ‘The Public Life of Sherlock Holmes’ every Monday morning over at BlackGate.com. I roam afield occasionally, but the subjects are primarily Holmes and mystery related. Type my name in the Search box and see what comes up. I began the column in March of 2014 and have written quite a few ‘extra’ posts. Hopefully you’ll see something you like. This entry was posted in Pastiches, Sherlock Holmes, The Public Life of Sherlock Holmes and tagged Sherlock Holmes, The Public Life of Sherlock Holmes on June 6, 2016 by Bob Byrne. THE Holmes Anthology is Out! I have mentioned (oh, maybe, more than once…) here and over at Black Gate, that there was a new anthology of Holmes stories coming up. And that I had a story in Volume Three. Well, on October 1, The MX Book of New Sherlock Holmes Stories, in three parts, hit the cyber-shelves. And whatever bookstores are still in business. Two days in, the books are currently holding down the number 1, 2 and 5 spots among Holmes books at Amazon.uk. And it’s not just “an” anthology. It’s the biggest collection of new Holmes stories ever put together (by my Solar Pons buddy, David Marcum). There are over sixty contributors from around the world. Back in August, I posted a round up of the authors’ own thoughts on the stories they wrote. Some neat background there. You may have seen the BBC miniseries Arthur and George, which aired here in the US last month. It was adapted from Julian Barnes’ fictionalized account of Sir Arthur Conan Doyle’s fight to secure justice for the wrongfully convicted George Edalji (that’s a mouthful of a sentence. My story is easier to read than that). For a more factual look at the affair, check out my post over at, where else, Black Gate. BTW, if you’re reading this, you probably know that every Monday morning, my The Public Life of Sherlock Holmes column is posted at www.BlackGate.com. While it’s primarily focused on Holmes and other mystery-related subjects, they let me wander off topic and I tackle other interest areas, which may include role playing games, Humphrey Bogart and who knows what! Anywhoo. My entry (did I mention it’s in Volume Three? ), is “The Adventure of the Parson’s Son.” I took the Edalji case, moved it forward a few years from the time of Doyle’s involvement to when the crimes actually occurred, and dropped Sherlock Holmes plumb in the middle of things. I’m not going to pretend I’ve got one of the best stories in this collection. Some of my favorite Holmes authors are in here, and I’m waaay better at writing Holmes nonfiction than fiction. But I still enjoyed writing it and taking a real-life Doyle event and centering it on Holmes. 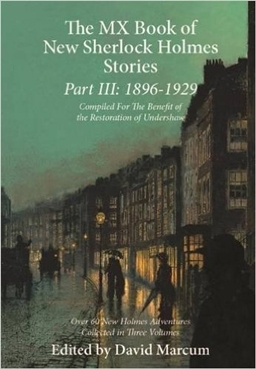 Checking in at about 1,200 pages, If you’re looking for a collection of Holmes stories, this one will give you months of good reading. And if you can’t get the whole shebang at once, I suggest going with Volume Three first! Did I mention…yeah, I think I did. It’s Elementary – If you recognize the name of one of Holmes’ contemporaries in the story (and one of my Sherlockian buddies from Michigan certainly will), I tried to work in an actual appearance, but it just wasn’t panning out. But you may well see a Holmes pastiche from me pairing up the two! This entry was posted in Pastiches, Sherlock Holmes, The Public Life of Sherlock Holmes and tagged Pastiches, Sherlock Holmes, The Public Life of Sherlock Holmes on October 3, 2015 by Bob Byrne. 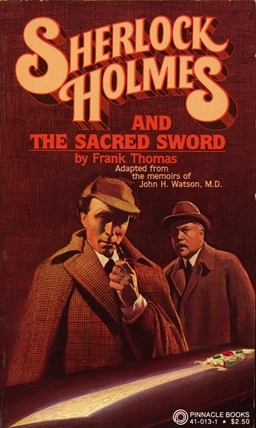 Today, The Public Life of Sherlock Holmes looked at one of the very first pastiche authors I read, Frank Thomas. I also discuss Mark Frost’s The 6 Messiahs; sequel to The List of 7. In the nineteen fifties, thousands of American boys thrilled to the television adventures of Tom Corbett, Space Cadet. 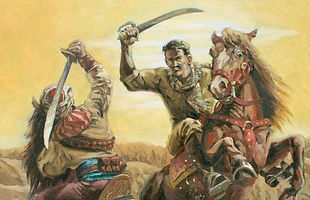 Frankie Thomas, Jr, offspring of acting parents, had been in the business for two decades when he starred in the adaptation of a popular comic strip. It was a hit, spawning comics, books, a radio show, toys, et al. As with all shows, it ran its course and came to an end. Thomas went on to become one of America’s foremost bridge experts. That’s the card game, not the things that span waterways. His Sherlock Holmes, Bridge Detective, was a popular book on the subject (as was its sequel). When I started branching out beyond Sir Arthur Conan Doyle’s original stories, I think that Thomas was the very first Holmes pastiche writer that I read. Keep in mind that around 1980, pastiches were relatively uncommon. You bought Holmes books at actual bookstores: no Amazon. Indie-press Holmes stories were rather rare and hard to find. There wasn’t a self-publishing industry to speak of. So, avid Holmes fans gobbled up paperbacks by L.B. Greenwood, Richard Boyer and Frank Thomas. Yep: same guy. In 1979, Sherlock Holmes and the Golden Bird came out, followed the next year by Sherlock Holmes and the Sacred Sword. Click on over for the rest. This entry was posted in Pastiches, Sherlock Holmes, The Public Life of Sherlock Holmes and tagged Pastiches, Sherlock Holmes, The Public Life of Sherlock Holmes on December 15, 2014 by Bob Byrne.